Fujian Provincial Key Laboratory of Coast and Island Management Technology Study was set up in March, 2013, approved by Fujian Provincial Department of Science and Technology. The key laboratory focuses on the theory and method studies of coast and island management around the issues of sustainable development management of China and Fujian province, which services the ocean economy powerful province strategy of Fujian. Depending on the multidisciplinary method of numerical ocean modeling, information technology and so on, the key laboratory mainly engages in the studies on coast and island resources and environment assessment technology, regionalization and planning methods, management policies and regulations, aiming to promote the sustainable management of coast and island. Coast and Island Research Centre includes Marine Geology & Geomorphology Lab, Marine Hydrometeorology Lab, Survey Team of Fujian Institute of Oceanography, Haixia Marine Engineering Investigation Centre. Taking Taiwan Strait and Fujian coastal region as the study area, the centre emphasizes the studies and applications of marine geology and geomorphology, physical marine, ocean surveying and mapping, the technology and policies research of integrated coastal management, marine function zoning, marine use assessment, sea area value evaluation, island planning and use assessment, island utilization fees assessment, marine management information system, etc. Several planning projects have been carried out like Fujian Provincial Marine Function Zoning, Fujian Provincial Island Protection Planning, Restoration and Conservation Planning of Sea Area, Island and Coastland. Basic investigation projects have been completed like Fujian Provincial Coastline Revision, Survey on coast and island zone, General Survey on Island Names, Observation of Stability of Xiamen Sand Beach. Besides, the key laboratory and research centre has assisted marine administrative departments to complete the site selection of Meizhou Island and other national ocean parks, and the proposals of Jinjiang Marine Ecology Civilization Demonstration Zone and Taishan Island Ecology Construction Experiment Base. And it has also accomplished several provincial fund programs, two national marine non-profit programs and one NSFC program under research. 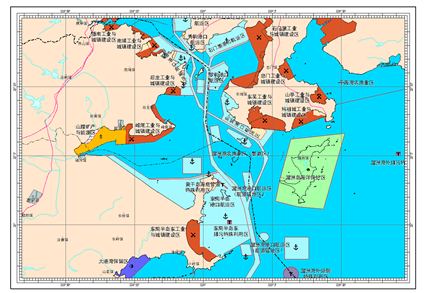 It was awarded an honorary title as “Advanced Unit in National Marine Use Assessment” in 2009 and “Advanced Group in Fujian Provincial Unit of Surveying and Mapping” in 2004.